Showline Back to Boundary Bay! 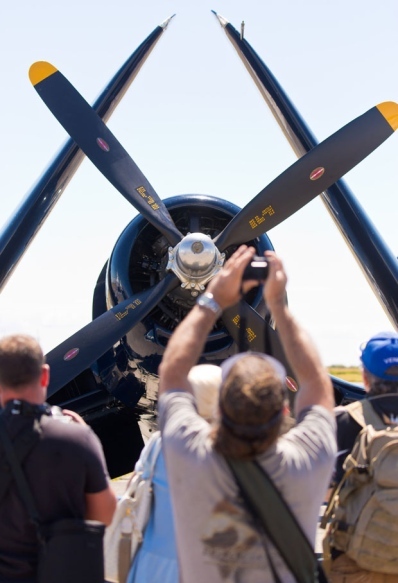 Showline is very proud to announce that we will be heading back to Delta this season for the Boundary Bay Air Show! Along with air boss, this year we will also have larger ramp operations presence as well! The show will take place on July 22 at the Boundary Bay airport! 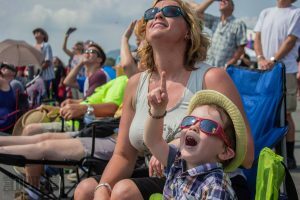 While they have not currently announced any performers quite yet, follow them on their Facebook page or head over to their website, http://www.boundarybayairshow.com/, for more information. The show is FREE so be sure to come out and support your amazing local show! If you’re at the show, be sure to come and say hi!! Showline is excited to announce that we will be air bossing at the Lethbridge International Airshow again this season!! This show never ceases to impress us as they always have some of the coolest airplanes at their event! This year is their 25th anniversary so we are extremely excited to see what they have in store for this year! 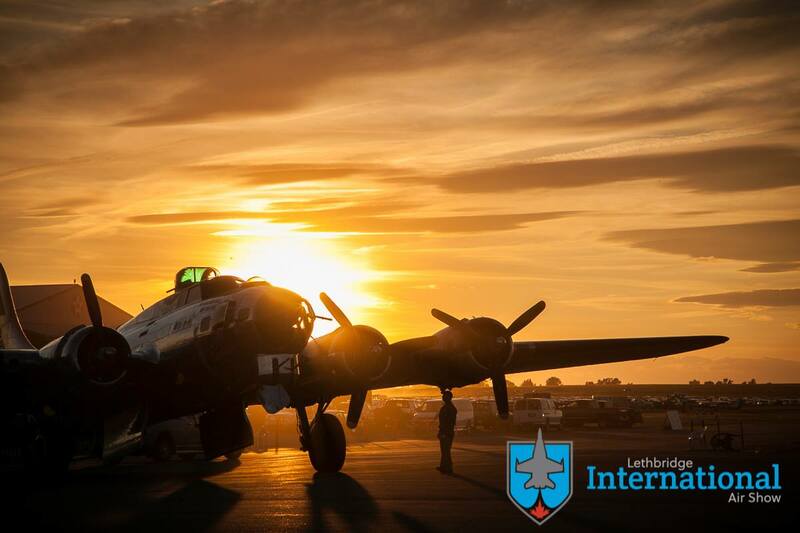 While they haven’t announced their performer line-up quite yet, you can follow them on their Facebook page, Lethbridge International Air Show Association (@albertaairshow) for all the announcements!! If you are in the area be sure to come out to the show and say hi to us!! We are thrilled to announce that Showline has been hired by The Airshow Network to air boss the airshow at the NAWS China Lake, in Ridgecrest, California. This will be the first show in over 25 years at the naval air weapons station and we are extremely excited to be a part of it! The show is free!! The US Navy Blue Angels have been confirmed and we know that the organizers are crossing their fingers for a special surprise for their audience! Civilian performers include SkyDancer, Jacquie B airshows, Dan Buchanan airshows, and Spencer Suderman airshows! Our announcer is none other than Ric Peterson with sound by Mach 1 Productions! You won’t want to miss our season kick off at China Lake! Wow! What a season!! It has been the busiest and most exciting season we have had yet!! We had the extreme pleasure of working with some of the most professional show sites out there this year and we hope to work with them all again in the future! We also worked with some pretty awesome performers, announcers, and support staff this season! There is too many to tag, but you all know who you are! The season was filled with some extreme lows and some extreme highs. We worked some of the last shows with some of you as you are retiring!!! We wish you all the best in your future adventures!! We also completed some duel shows on the same weekend again this year and Kelsey completed her first show as air boss. We had some rocking shows with our ramp operations as well! Our Air Boss Experience worked out better than we could have imagined!! We want to thank all of you mini bosses who joined us at a show this year! While it was a great experience and we were able to share air bossing and airshows with some awesome young individuals, the program will not be returning next year aside from a couple special locations. We are brainstorming some new ideas for the 2017 season! Overall, we feel that we are so fortunate to have met so many new and wonderful people to add to our airshow family. That couldn’t have happened without the love and support of the many airshow fans out there and ultimately you!! Thus, we would like to thank all of those fans who like or shared an airshow story, braved some sketchy weather or large crowds, volunteered at their local show, or just had fun at any airshow across North America! We wouldn’t have the opportunities we do without you so thank you!!! We would also like to take the opportunity to officially announce that Ray and Donna got engaged! While it happened prior to the season, we wanted to make sure we told everyone before it was announced. They will be getting married prior to the season next year! We can’t wait to see all of you again and are already working on the 2017 season!! We are headed to ICAS at the beginning of December and hope to be able to give you more updates following the convention! Check back as we announce our show sites to find out if we will be at a site close to you!! The first half of the season for Showline has been a whirlwind! Starting with Yellowknife, Donna, Ray, and Kelsey all went up to handle our busiest show in terms of conflicting airline traffic. The organizers and tower were great and made our job much easier! It was also the debut of our Air Boss Experience. While it didn’t go nearly how we planned it, with some minor adaptations, it actually turned out better! We were able to share the show with two kids from the area and were proud to have them up with us! The second show weekend for us saw Donna and Kelsey heading to Whitecourt, and Ray, Kyle, Kyle, Dan, and Andrew all heading to Boundary Bay. This year in Whitecourt we had practice day! That was a win in its own right as in many of the previous years weather always managed to shut down our practice day. Both show days also had decent weather, we were fighting some wind and some thunderstorms threatened but moved around the site.The show went extremely well and the organizers did a wonderful job ensuring that everything was in place! Boundary Bay however, had absolutely stunning weather and the boys managed to keep everyone cool and on time for a great practice and show day! Themselves, on the other hand, all came back looking like burnt lobsters! The first weekend in August sent us to Edmonton for their second annual show! Rain threatened to wash away the show site prior to the show, but quick thinking and a lot of teamwork from the producers and volunteers, they came up with an excellent solution for the soggy fields.This year they added the CF-18 and the F-16 demos to their line up and it was a hit! The weather cooperated on the weekend as the rain stayed away and both show days had large crowds! We were also able to share the show on both days with our Air Boss Experience kids! Overall, it was a great weekend in Edmonton! Finally, August 20th/21st we were at our home show in Chilliwack! It is always one of our favourite shows because the whole crew is involved! Ray was the airboss and Donna was support for him and everyone else, ensuring that all the performers are taken care of (she was also in charge of the air boss experience who she was able to share the show with)! Kyle, Dan, Kyle, and Kelsey were all on the ramp keeping things running smoothly and making sure everyone had what they needed. Surprisingly, the weather cooperated for the whole weekend and we had a great twilight and day show with some larger than usual crowds! It was another awesome weekend! 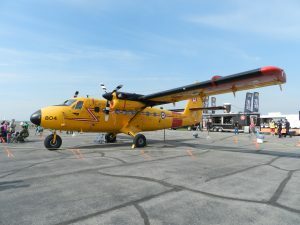 Now we look forward to the largest over water show in Canada, the Canadian International Air Show in Toronto where they have an amazing line up that you won’t want to miss! Breitling, the Snowbirds, the CF-18, and Mike Wiskus are all back with some other special guests! However, if you are out travelling for the last long weekend of the summer, be sure to catch Airshow London two weeks later where they have an incredible military line-up with civilians Pete McLeod and Greg Coyler to keep things interesting! 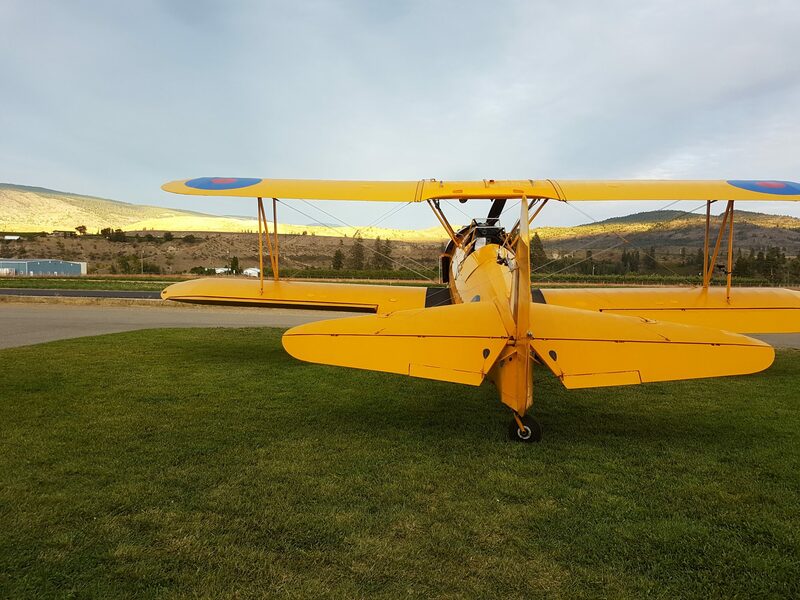 Or if those shows are a little too East for you, you won’t want to miss Swift Current’s mid week twilight show that include the Snowbirds, Gene Soucy, Yellow Thunder, and Brent Handy! If those aren’t enough for you, then be sure to follow us down to California! We are off to Santa Rosa first for the Wings over Wine Country Airshow that will feature your very own CF-18! Followed by one of the largest airshows in the United States, San Francisco Fleet Week! That will be taking place over Canada’s Thanksgiving and will also include your own CF-18 demo! The Blue Angels, Patriots, Breitling Jet Team, Mike Wiskus, Sean Tucker, and F-22 will also be making appearances!! We are extremely excited for our second half of the season and hope we see you at one of our next shows! Showline is pleased to announce that we will be heading to Saskatchewan for the Swift Current Airshow taking place on September 28th at the Swift Current airport! This will be the first time Showline is at Swift Current and we are very excited for this new show site! If you are in the area be sure to come say hi!!! Showline is headed to Yellowknife! We are kicking off the 2016 season in Yellowknife for their northern show!! We are very excited to be invited back to this show for the 2016 season! While the show itself is smaller, the site is extremely diverse and keeps us on our toes!! It also never gets dark while we are there! The show is taking place on July 9th so if you’re in the NWT area, come say hi! 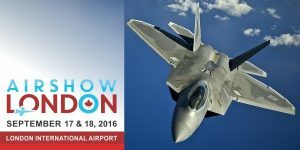 Showline is very excited to announce that we will be in London, Ontario this year for Airshow London! This will be the first time Showline is in London and we can’t wait for this show! This year’s line up is a knockout: All three Canadian Forces demonstration teams, the Snowbirds, the CF18 and the Skyhawks; the F-22 Raptor, Pete McLeod, Ace Maker, and the Bac Jet Provost! We are headed back to Toronto!! Showline has been invited back to the Canadian International Air Show for 2016!!! As the largest over water show in Canada, Showline is extremely proud to be working alongside this show for 2016 season! Drawing one of the largest crowds in Canada, this show does not disappoint!! While performers will be announced later in the season, this show has some of the coolest jet performances complimented by some of the most elite civilian performances year to year! The show will be taking place September 3rd -5th over the water in Toronto! 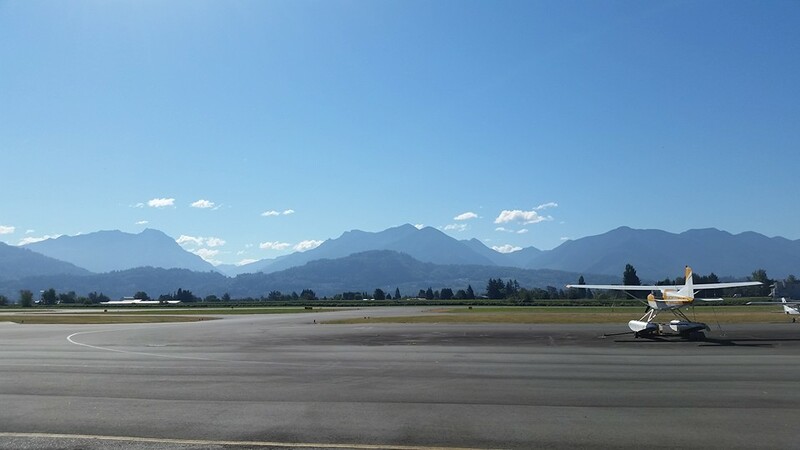 Showline is excited to announce our next show, the Chilliwack Airshow – Flight Fest! As our home show, we are very pleased to be invited back! This year’s show will take place on August 20th and 21st and is one of the only FREE shows left in Canada. This year will mark the show’s 25th anniversary so you won’t want to miss it! This show also has one of the longest running night shows in BC! The night show will take place on August 20th and you can purchase a hangar/dinner dance ticket for the evening! The regular show takes place on August 21st and is FREE! It makes a great family day opportunity! 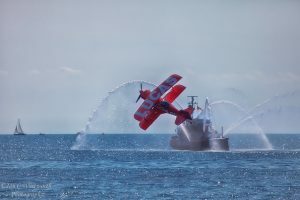 For more information on this show put on for the community, visit their website at http://www.chilliwackairshow.ca/ See you in Chilliwack!